Hitachi Data Systems is snapping up Pentaho for its big data integration and predictive analysis technology. That totals $60m funding in total. Its history indicates some growth or csh problems in the 2010 to 2011 period – that venture funding looks like top-up funding. Things got back on track with the 2012 C-round, and now we have an acquisition. The chairman and CEO is Quentin Gallivan, a serial chief exec, who joined in September 2011 and replaced Richard Daley, who became chief strategy officer. Gallivan sold a previous company he ran, Aster Data, to Teradata for $263m in 2011. Looks like he's done the business again. Pentaho's technology unifies data integration and business analytics with open-source software. It has 1,500 customers and 15,000 commercial deployments. Its software gathers data from a variety of specialized sources, like Hadoop (Cloudera, Hortonworks and others), NoSQL (MongoDB, HBASE, Cassandra, etc) and data warehouses like Netezza and Vertica, and then filters and chews through it for the insights it can bring to business analysts. People at their desks, or wherever they may be, get pretty graphics from the results, and can analyze the reports on their own without needing IT developers to code queries for them. The Pentaho tech can be embedded into portals and applications. Part of the background to this is that there is an existing OEM relationship between Pentaho and HDS, and HDS sees Pentaho's tech as foundational. Another is that HDS CEO Jack Domme has been promoted to be CEO for the Hitachi Americas business. Hitachi, which owns HDS, has, El Reg understands, the belief that its massive range of infrastructure equipment, which includes bullet trains and generating plants and other machines, can feed torrents of sensor-generated data in an Internet-of-Things way to its servers, storage and software systems for big data crunching. This information can be combined with other data sources, filtered, extracted into subsets, and dumped in a repository which can be analyzed in real-time so that business processes and machines generating the source data can be tuned to be more efficient. That's the dream. Pentaho is a big data building block. HDS thinks this is going to be the largest private big data acquisition transaction to date – and it's expected to complete by June. Assume a 5X payout and the price could be $360m. If Pentaho was doing very well and Hitachi really, really wants it then the price could blow past $500m. Pentaho will become an HDS company run by Gallivan, who will report to Kevin Eggleston, HDS SVP for Social Innovation and Global Industries. How long Gallivan sticks around is anybody's guess. Lots of other companies could use his now proven and golden skill set in growing and selling big data startups. 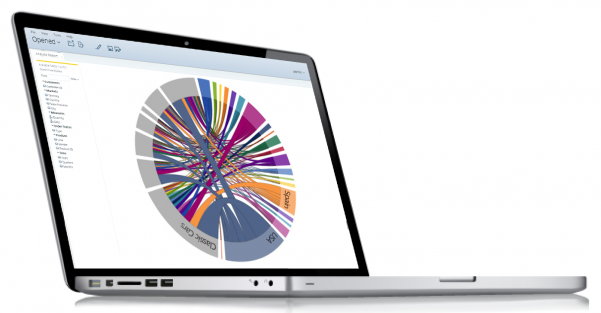 HDS sees Pentaho becoming part of a Hitachi shared analytics platform. This "will be a reference architecture that brings together and orchestrates different technologies from Hitachi, partners and the open source community."